A while ago I attended the KOTRA event in Amsterdam. 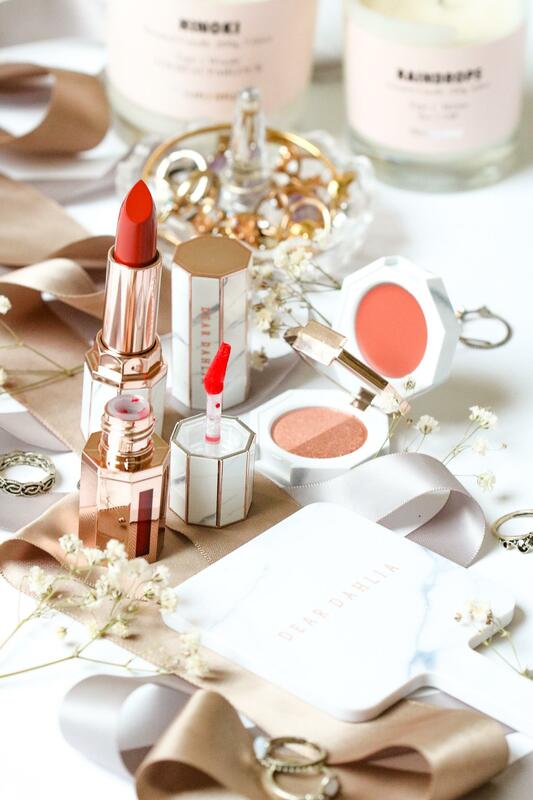 They try to bring Korean Beauty to the Netherlands and make us Dutch people more aware of all the beautiful products that the Korean market has to offer. I’ve been using Korean Beauty for at least 10 years so I already tried every kind of Korean brand I’ve heard of. I didn’t came home with empty hands because I received a huge goody bag at the event. 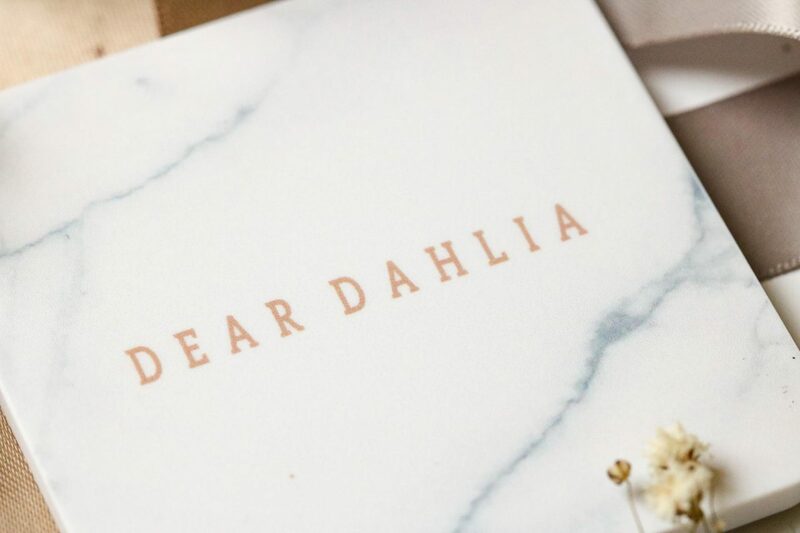 One of the brands that really grabbed my attention and was still new to me was Dear Dahlia: the marble packaging and the slick golden letters make this product gorgeous and a must have! I did see the products on Instagram but I never knew they are from Korea, that made me even more surprised. There were several products of the brand in the goodie bag, so why not trying them out? Napoleon’s wife, Empress Josephine’s favorite flower,Dahlia. She loved Dahlias so much that they were only for her to own in her garden and no one other than her could possess them. Her gardener sneaked them out of Josephine’s garden revealing Dahlias beauty to the world. 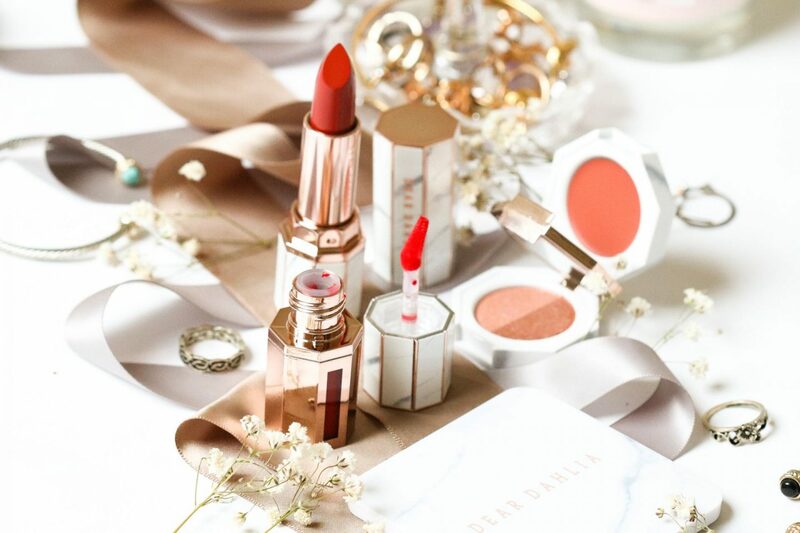 Dear Dahlia is a brand that wants to combine high quality makeup products with beautiful branding. Their products are pure and don’t contain any toxic ingredients that will harm the skin. Its is one of their high standarts to only provide true high performing makeup that is timeless and will match with everyone. The packaging is telling everyone how elegant and sophisticated the brand is, what every woman needs in their life. 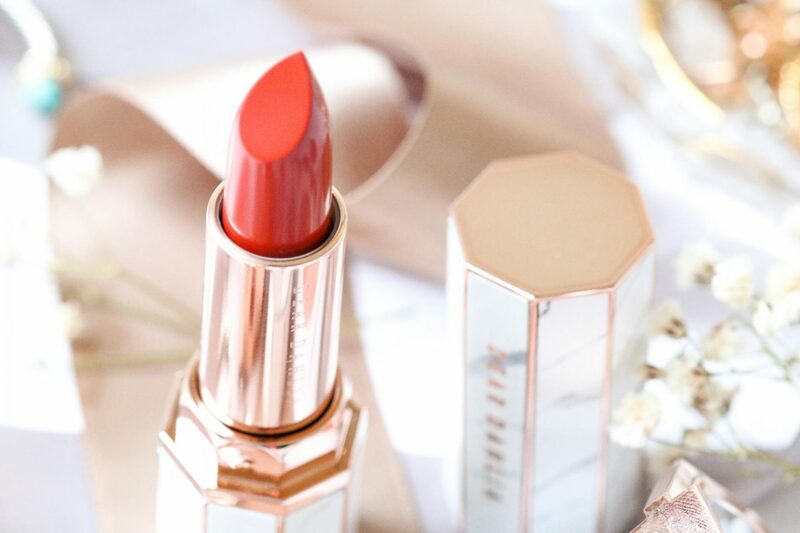 When you are looking for a lipsticks, you want many things to make it ‘the one’: it has to be the perfect finish so your lips won’t look dry, long-lasting, easy to apply and good for the skin. This Satin Lipstick has it all, which may sounds like too perfect. Dear Dahlia pays a lot of attention to their products, especially with what they put into the ingredients list. Their products mostly contain organic oils, flower extract and produced without sulfates, parabens, PEGs, banned color pigments and no animal ingredients or testings. I received the shade # which is this gorgeous deep red, with a hint of range satin lipstick. I was so excited when I just got it because it looked like the perfect shade for everyday. 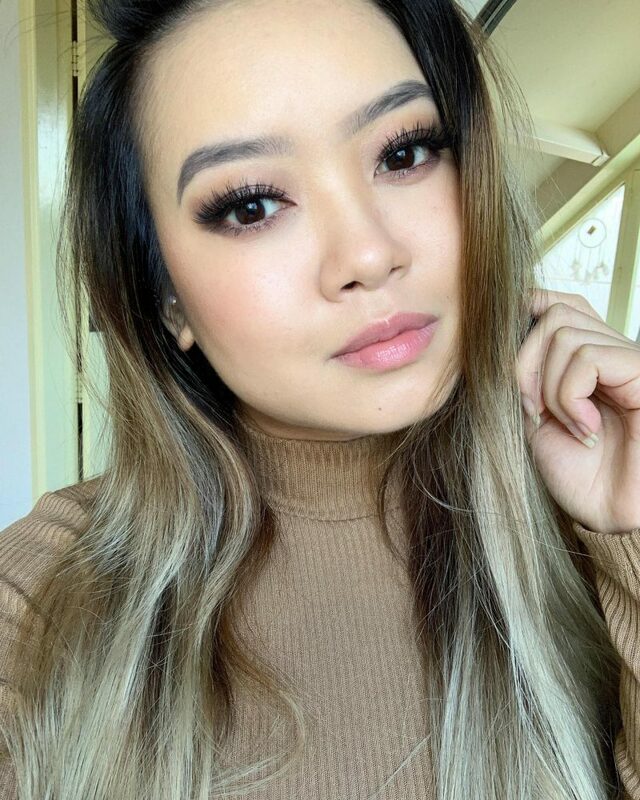 When I first tried it out I was blown away about how soft and nourished it felt on my lips, it was nothing compared to other lipsticks I’ve tried in the past year. To me it has a feeling of a lip mask that doesn’t gives you the idea that you are wearing lipstick; a soft hug on the lips. Because of the satin finish it doesn’t stay very long on the lips after a few drinks or bites. And can we just take a moment for the beautiful marble packaging with all the cut outs of the cap? I’m sold! A Lip Mousse is something introduced by the Korean Beauty market. A few years ago you couldn’t find anything with a lip mousse here in the Western, but in Korea if was available for years. The idea of a lip mousse is that it will gives your lips a pop of tint, with the comfortable feeling of a light mousse. 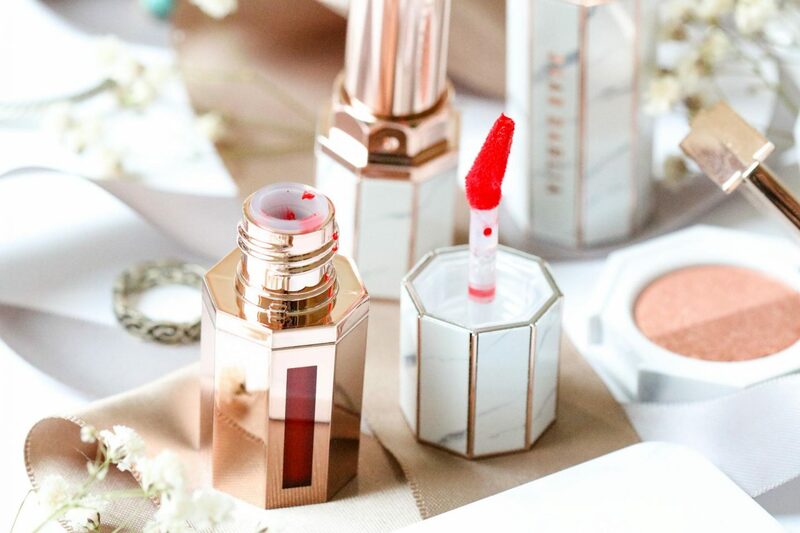 Usually when I hear “lip mousse” I imagine something with a sheer finish, but this mousse will give you a super pigmented result with just one swipe! The mousse-like texture instantly melt on the lips, which makes your lips look flawless and healthy. When it starts to dry it will give you a long-lasting effect without giving stains on your mug or food. 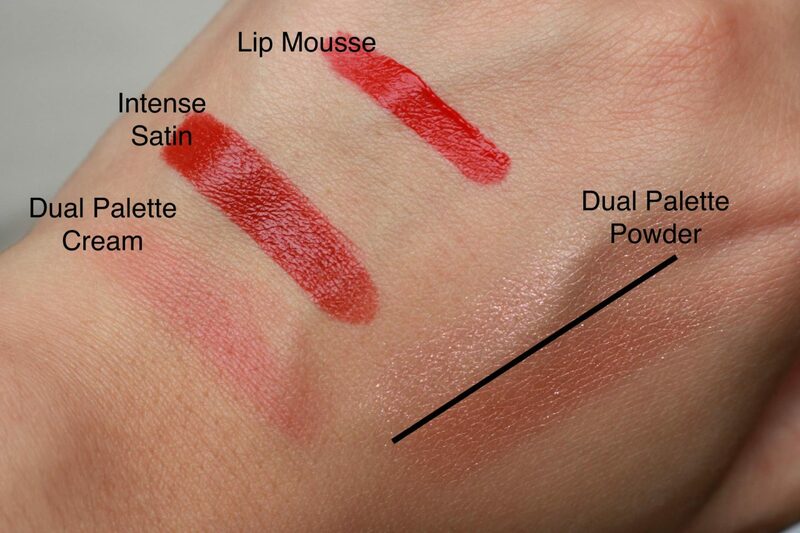 The shade # is a pretty coral red lip mousse that will turn heads! I love how vibrant this color is and the pigmentation of this mousse is crazy. The packaging makes it even more desirable because the gold and marble match so well. These days everything goes fast: traffic, work, school and your daily routine. If there is something I love, than it would be multifunctional products. The Paradise Dual Palette is 2-in-1 product: it has two tones of eyeshadow and a cream blushed. When I saw this item at the KOTRA event, I was blown away! I knew from that moment that I needed this. As crazy as I am (or rude) I asked them if this items was included in our goodie bag, otherwise I would ask them it they could send this over to me. Yes, I was that obsessed with this Dual Palette. I received #Sunset Romance, which is a combo of a Multi Balm and Shadow. The Multi Balm can be used for the eye lids, cheeks and lips. 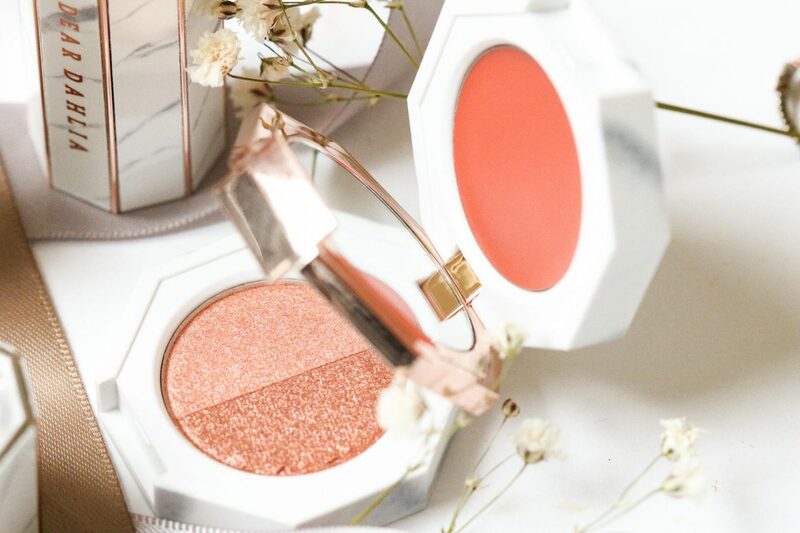 It gives your face a matte finish with this pop of soft pink/peach. Super soft and the organic butters and oils makes it feel sooth on the skin. The Shadow is for the eyes which are two glitters powders, one in a soft peach and the other a beautiful soft golden brown. The powders are non chalky and gives your eyes a beautiful glow. The Dual Palette is so easy to use and doesn’t need any instructions. The cute mirror separates the two parts from each other in this palette and makes it an eye-catcher! Dear Dahlia has become an Internet sensation after many big bloggers and influencers started to use them. From that moment I has my eyes on at least one item from their collection. The marble and gold makes this brand great eye catchers, but also non Korean to me. 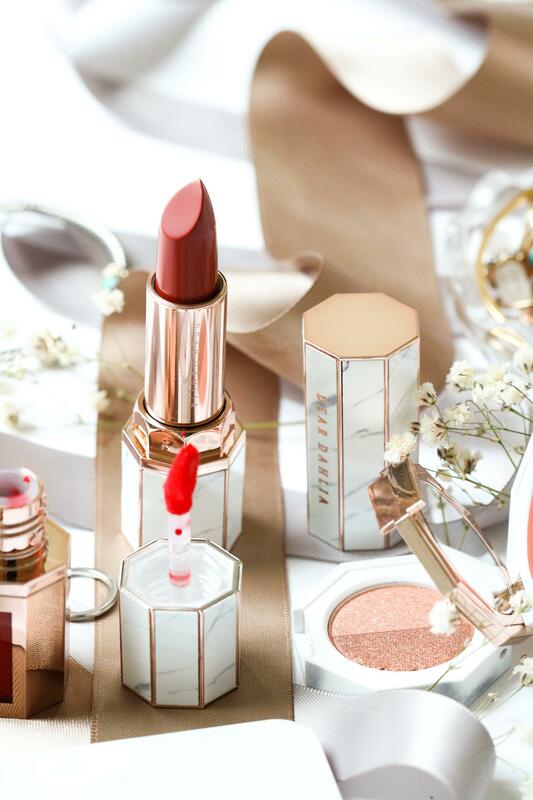 A a Korean Beauty brand, they market their brand as an International name that is approachable for all people around the world. Their products are worth your money and a true pleasure for the eyes. The quality of the products are amazing, everything is made with love and without harming the nature. Their ingredient list are filled with flower extracts and natural organic oils to make your skin happy and the environment. What I love the most about their brand is that they have a small collection with products that really speak for themselves. 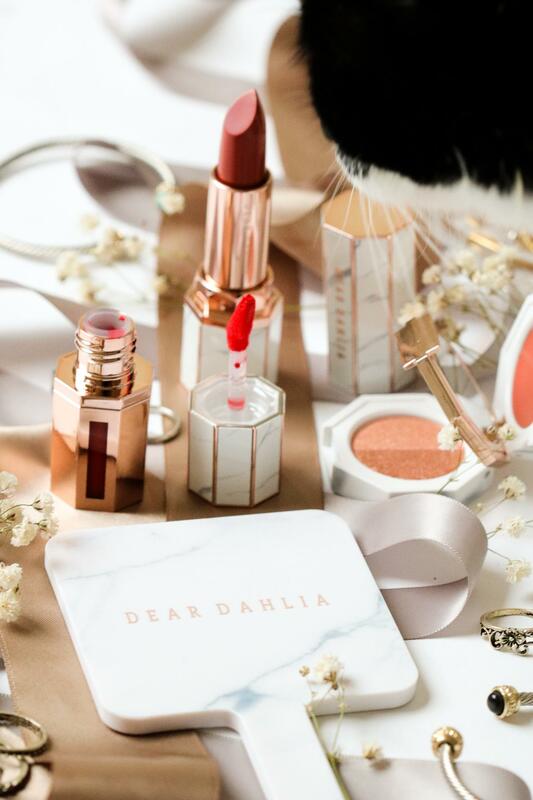 If you love marble and makeup that is made with love, than you really need to try Dear Dahlia! You can get your own Dear Dahlia products here or your nearest store.